Deep Silver, the publisher of Volition and 4A Games titles like the Metro series, has denied claims that it would be pulling future Metro games from PC if gamers continued to boycott it. 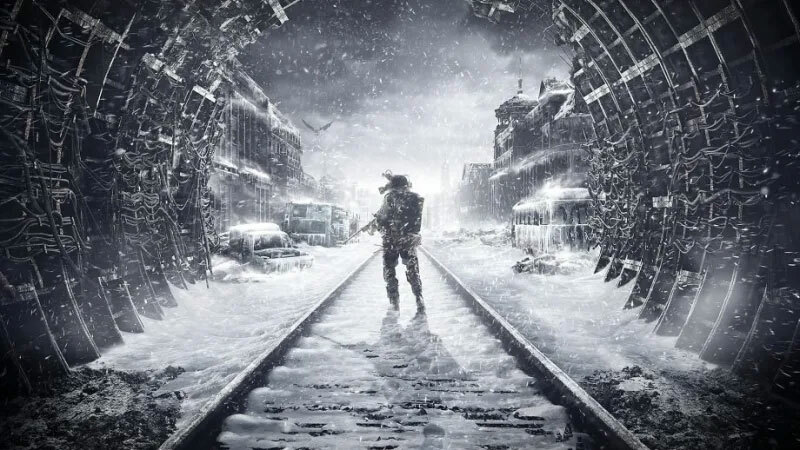 This comes in response to a statement made by a member of the developmental team at 4A Games, stating that the game may not be available on PC in future if gamers continued to protest Metro Exodus' exclusivity on the Epic Game store. Metro Exodus has proved to be a divisive game. Originally put on Steam for pre-order, it's since been made an Epic Games Store exclusive due to the better revenue share program that Epic offers. Gamers weren't happy, however, as the Epic Store lacks regional pricing, cloud saves, problematic security, and allegedly poor customer support. This lead to many gamers review bombing Metro games on Steam and proclaiming publicly that they wouldn't buy the game. This frustrated some developers at 4A Games, one of whom posted on a web forum that if gamers continued to do this and sales suffered, that future Metro games may be made console exclusives instead. Deep Silver has since responded to counter these claims and get out ahead of any further backlash. "The recent comments made by a member of the 4A Games development team do not reflect Deep Silver's or 4A Games' view on the future of the franchise," it said, via Eurogamer. "They do reflect the hurt and disappointment of a passionate individual who has seen what was previously nothing but positive goodwill towards his work turn to controversy due to a business decision he had no control over. We respectfully ask that any and all valid feedback over this decision is directed at Koch Media / Deep Silver, and not the developers at 4A Games." THQ Nordic, the owner of Deep Silver, has since muddied the waters further by countering this statement and then countering its own counter, so the future of the Metro series if far from certain. It seems likely that Exodus will still be a success, but will that be tempered by the negative rebound of Deep Silver's business decision. The last Metro game is a constant loop of 'here's your destination - oh no monsters - hey humans are gonna shoot you now - phew you escaped - let's do this 50 more times". **** these games, I'd rather play Stalker - SoC with mods. they did it because on the epic store they pay only 8% to epic games instead of 15% to valve on steam. that it .... EXCEPT the small print on the epic store shows that after a certain target epic games takes 20%. plus .... if you agree to epic's TOS .. your giving them permission to sell your personal information to 3rd party non-epic games companys for advertising. They might as well pull it, if it's going to be epic games exclusive. What an unprofessional response by an ***** child. Quick lesson in business, you are OWNED by the customer, not the other way around. If the customer is upset over a truly terrible decision to screw the customer with exclusivity agreements and they express upset, you don't threaten to entirely screw them more to get what you want, you accept that what you won't you simply aren't going to get and give the PAYING CUSTOMER what they want. Hopefully this individual was punished internally for this behavior. Fact is exclusive content hurts everyone even if the price is lower currently, because this isn't competition, lowering the price is a way to ease the sting of ******** everyone on Steam and trying to convince idiots that exclusive content is somehow good for them. This is junk. Go ahead and pull metro, have these idiots not heard the response so far? If people are willing to not buy your product in protest, pulling the product won't make your problems better moron. Grow up and accept that an open, free market, if what America is built on, can't expect a Russian developer to understand or value that concept I guess, but what SHOULD have been done was Epic should have gotten Metro for $10 less and let Steam sell at full price, now THAT would have been some awesome competition. This? This is bulls**t.